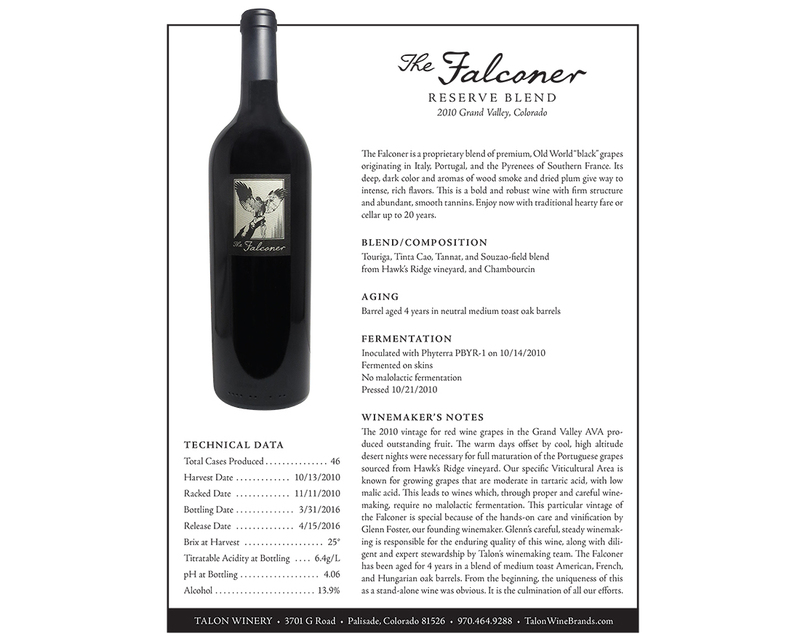 Working with the Talon, we recommended that the winery broaden its appeal and sales potential to higher margin, luxury wine consumers through new product segmentation. 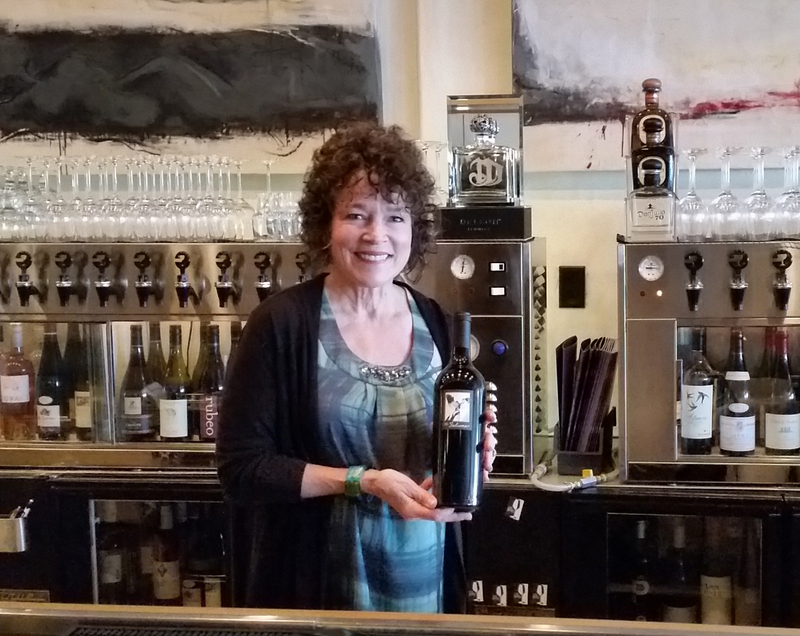 The strategy was twofold: First to increase overall revenue and profits, and secondly and more importantly, to provide a “halo effect” by elevating the winery’s quality and image perceptions among consumers and the trade. 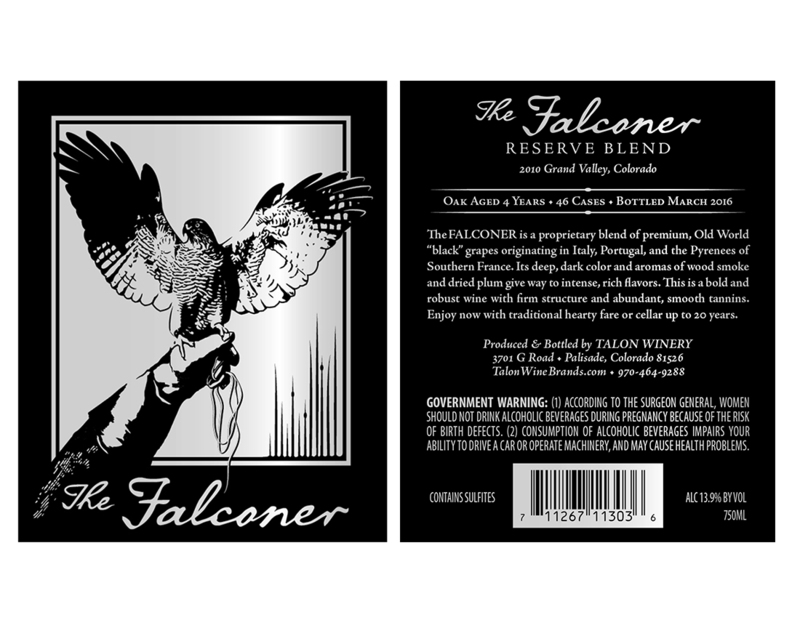 Our solution was The Falconer, the winery’s initial entry into the luxury wine segment. 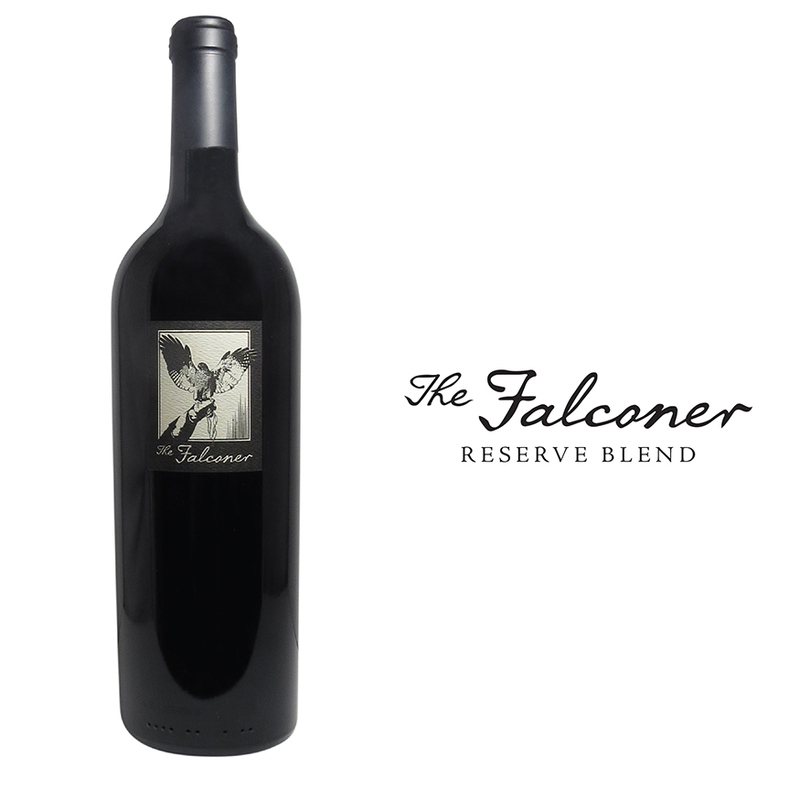 Priced at $65 per bottle (vs. $15-17 for the core line), this limited release, “reserve” wine has much elevated quality. Our work was extensive, providing brand strategy, naming, packaging design, marketing materials and managing distributor and retail distribution and sales. Read the full story in our Blog post, “The Making of a Luxury Brand“.